Is IE9 a modern browser? NO! Click here to see the graphic as an HTML document with clickable links to all the test sources. When will Microsoft wake up and get their act together? Is there really any incentive in releasing a browser that lacks so far behind? Especially when they already acknowledged that their older products (IE7 & IE8) are lacking most of the modern web technologies and thus they needed to release IE9. Thanks to @malde for sharing this in Google Reader! 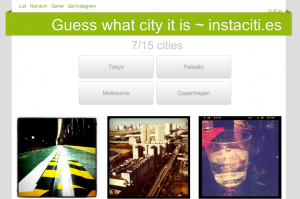 Oliver just released a new browser game called Instacities that lets you guess what city is displayed, based on photos taken via Instagram. There are plans to have a highscore table and deeper Facebook integration in the future, so be sure to check back often and follow Oliver on Twitter to stay up to date. For quite some time Mac users where searching for a way to paste the currently playing song from iTunes in chat messages etc. I never thought about it much but recently a friend of mine, who was a former AMIP user on Windows, needed a similar functionality under OS X. Together we constructed a working solution. set the clipboard to "np:" & the songArtist & " - " & songTitle & " \"" & songAlbum & ", " & songYear & "\""
Now your able to run the service from every application’s menu under “Services”. 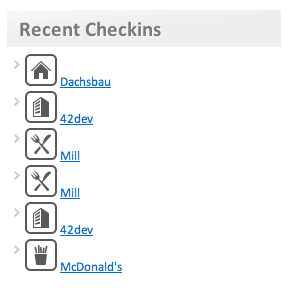 Be sure to have your cursor in a text field because the service will immediately paste in the constructed string. If you’re in a super nerdy mood today, you can also give your service a keyboard shortcut. I’d be happy to see further improvements, thoughts & ideas about this solutions in the comments!